Hi there I am so excited for the weekend because I can play DRAGON CITY!!! !Plus it is so EPIC!!!!!!!!!! THIS APP IS SO MUCH FUN!!! Dragon city is one of the best games ever but they can make the game like maybe a battle royals but everything else is great. Love this game. It’s so much fun and I love the free stuff that you get! The only thing I don’t like is the fact that I can’t play it without internet. But besides that BEST GAME EVER. In fact dragon city is the only game I haven’t considered deleting. This game is the best game ever they should make more games like this. I lost all my gems. Hello, over all this is a very good game, but recently I bought the piggy bank a few days ago and all the gems I had bought from it has just randomly disappeared, I would really appreciate it if you can help me get my gems back, my user is MasonB. Thank you. This game is addicting to play once your on it you cannot stop I play it everyday you should really play it. Awesome Game My Daughter Loves It! It’s really fun it’s a good game play it! It is the best game ever it is super amazing you have to download it you can’t bet it.I don’t like is the wait time other then that everything’s great. 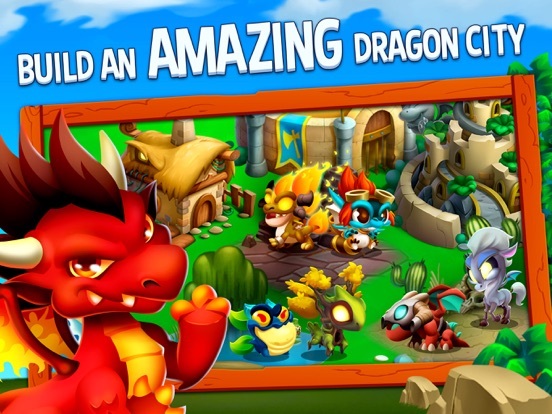 Dragon city includes great graphics and many fun dragons and habitats! It also has an effective currency, and is manageable to maintain. The only problem I would worry about is the time limits and earning gems. But overall, a great game! Best game ever!! I love dragons!!! I LOVE this game it’s relaxing it’s so much fun thank you!!!!!!! This game is super fun , and I just started. It is an awesome game you should get it it is so much fun. This game is absolutely splendid. It is one of my favorite games to play when I am by myself. This is a great game I’m on level five already.You should get it. Dragon City is so fun. There are so many dragons that you can get. I love DragonCity just there’s a few problems. One is the space I don’t have enough space to put all my dragons so some have to like in the dragonareom for a while and I don’t like that. Also on that note the price for the lava land is 25 gems I have one it’s my fault I spent them but couldn’t you make it gold instead? Like the other one. Also these caged dragons are very annoying and they take up space. So I moved one of my habitats over to make space and the next day there’s a caged dragon on my land there so annoying because my friend she doesn’t have a lot of dragons that means a lot of free space! Actually no just a lot of caged dragons every were so if you can stop like now! But it’s not all bad I love the Neo Lzumi dragon and always wanted her the first time I saw her. This recent activity Mach sushi this is soooooo cool because I won the Neo Lzumi dragon!! I love that you make every dragon available at one point but one thing.... can you please make the pathfinder dragons orbs easier to get because that’s one of my favorite dragons too 😺🦊🥓. One more thing can you make like a dragon hospital because what if your dragons get hurt in battle what do you do then? So please consider a dragon hospital make it for gold not gems gold please consider it thx!! !🦊😺 By Noodle Consider what I said please!!! Pretty good overall, but something’s could be touched up. I played the game a while back, maybe a couple of years ago. I quit because of how long it was taking me to level up. I recently redownloaded the game and have been moving through levels much quicker since. However, there are still some problems with the game. The Ancient World is one of the biggest problems. It is extremely hard to summon most of the dragons due to how hard it is to mass up a enough crystals to make a Fine or a Neat crystal. That and since the leveling is going faster I feel I don’t have the time to summon one dragon before the next element is unlocked. I also am annoyed with how hard it is to get gems, considering how such stuff revolves around using them. Half the time there are other offers in the video area, and Jewelem doesn’t help much. There should be more of a daily reward that grows as you comeback more often. The adds that pop up in the middle of the game are also highly annoying, but you can typically X out of them in a couple of seconds. One last thing that bothers me is that when you enter the dragon book you are automatically entering the collections part. This means that I almost always have to tap one extra time just to look at my dragons or dragons I want to get. All in all, a pretty great game, just a few things could use a little work. The green house only works 3 hours a Day can’t be refreshed and mobile version is awful especially since I play getting / breeding dragons for my grandsons when they aren’t here ( two different tablets and my phone ) after playing on the tablets , my one grandson asked to finally put it on my phone ( if course I gave in) at 4 he’s already disappointed at the one on my phone there’s no thing to watch videos to earn rewards no games you can attach to get gems like the tablet version an he’s a already got a nature dragon and it’s saying he does so he can’t do battle 😐😡 I’ve written several times to the support system with no help ! And if you on the mobile version get an Ice habitat then you can use it till you get 3 friends or pay 6 diamonds with two stupid smiley faces hovering above it ! He was upset I just took the phone and deleted the ice dragon!! At my age no one is playing this and at my grandson age he doesn’t need friends to interact with on this game ! Three of us play it’s a great way to talk about what’s going on what new breeds I made an genuinely have quality time interacting with them safely on the internet!! I know what they are doing on it ! So if anyone reads this please help ! I’m 58 an enjoy this with my boys .... but to the point of erasing it off my phone ! It’s supposed to be fun not nerve wrecking! I could be your support system ! If you are looking to start playing this game, do yourself a favor, DON't. Find another game to play from a different vendor. This game is Ridiculously Expensive for all of the in-app purchases. You won't get very far without spending $150 +. Since I am at level 73, I was very excited when I saw there were new islands, and more habitats available. I was disappointed that the number of farms has not increased. When I looked at the new pricing, my jaw dropped. Horribly disappointed in the new pricing for habitats, and newly available islands with the new version. The prices for everything has been going up, up, up, in this game. I know you need to make money, but the new pricing will likely put a lot of players out of the game. I will probably look for another game that isn't constantly asking ridiculous prices to advance in the game. 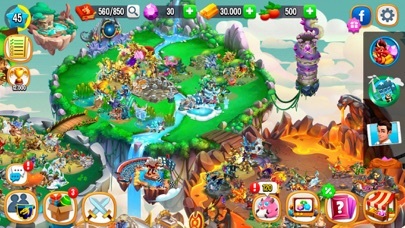 If I continue to play Dragon City, I will play with the dragons, islands, and habitats I currently have acquired. I will only play with the gems I earn. If you don't have customers, you don't have a business, so please consider bringing the prices to a more reasonable level. As long as this type of business model continues, you will not see another penny from me until you resume treating your players as valued customers. I already considered it an expensive game to play, this new pricing is way off base. This game is one of the best I’ve played but obviously there’s something that aren’t great. For example, all speed-ups are either a video or gems and usually it’s gems but gems are decently hard to get if you don’t spend two dollars for a measly 25 gems which gets you basically no where or spending a whopping one-hundred dollars for 1,700 gems which gets you somewhere but is ridiculously overpriced. This game is full of overpriced things and lots of greed almost everything costs money. It’s hard to get somewhere without spending gems especially if you’re as impatient as me. It would be ever so helpful if you maybe more things such as speed-ups for breeding cost coins instead of gems and in-app purchases were more reasonably priced. I know you need to make money but this is just unreasonable. This isn’t one of the top problems I have with this game, but it would be great if this game had a way to turn coins into gems like 1,000 coins for 1 gem. Also why aren’t heroic dragons breed able it’s just dumb heroic races are so complicated and I never have enough time to waste on completing the tasks for them while also trying to breed, hatch dragons, and win league and arena battles. I hope in future updates you will stop being so greedy for money and start caring about your customers enjoyment. I’ve been playing this game for about 6 days, I’m on level 20, and it seems like a really good concept. My problems are the difficulty of getting gems, how it’s absolutely required it invite friends into the game (which in my opinion is really greedy), the difficultly of the races, and some more that aren’t to important. Gems are really annoying to get because you either have to watch an ad or complete a task or get a random gem, which for me happens once in a blue moon. I also don’t like how it’s required to invite people into the game. I personally like keeping my phones info to myself, for example who I’m texting, what I’m looking up on Google, what I have in my calendar, and most importantly what games I play. I really hate having to invite people via Facebook or messages because it just feels uncomfortable. Now, that might seem weird, but it’s just the way I am: I like to be privatized. And the races are self explanatory: there broken. Some guy can use all the gems he has, that he’s bee saving for months, and use them to get 20 laps ahead, which ensures the victory for him. I’ve had this happen, and other people have had it happen to them, too. That’s all I have to say, and I hope this will help to get feedback. For now, I’m gonna stop playing this game for these reasons, by if they are fixed I might come back. To the person wanting to play this game, DO NOT PLAY IT. It’s basically pay to play! Play other games that are better than Dragon City. Play Animal Jam or other games instead. Other games have better features than this Pay to play game. Everything costs money if you don’t have resources! Or if you want those rare or very limited Legendary dragons, you’ll have to pay to get them! I left the game because it’s not even a great game. Play Nintendo games instead. Not even a good game to play. You just have to wait about 25 to something hours just to hatch a dragon. Honestly, when I play the game, everything starts out great. Everything seems to be free at first, but the more you play the game and move on, everything gets expensive. Apparently there always not enough gems and if you want to unlock dragons, more resources, or more gems, It costs real life money. And the races aren’t even that good or great. About spending, spending and more spending just to get that one Heroic dragon you so wanted. The event dragons cost real life money. The normal players that don’t buy dragon with real life money have to struggle and hope to get some dragons that are useful. You all most basically can’t do anything here without paying real life money. I doubt that the wealthy creators of Dragons City can’t stop putting these in-app purchases. Greediness is everywhere in this game. Love! But make game less cluttered..? I’m absolutely in love with this game and I am always excited for updates and I’m absolutely in love with the dragon designs and the graphics and everything. But, the ancient world. Seriously. I hav 102 gems, as I was saving for an island, and I was exchanging the ores for better ores and I accidentally hit it one extra time, and it spent ONE HUNDRED OF MY GEMS!!! I HAD BEEN SAVING FOR WEEKS!!!! I’d love it if I could get those back but considering that this is a small comment I doubt it will be recognized. If anything, in the next update, PLEASE ADD A FEATURE WHERE IT ASKS BEFORE YOU SPEND GEMS BECAUSE IVE DONE THIS TWICE AND LOST OVER 200 GEMS TO ACCIDENTAL TAPPING ONE EXTRA TIME! Ones I paid for too. Not cool. I would greatly appreciate it if SOMETHING could be done about the accidental gem spending, by adding a confirmation feature to ask first please😭😭😭 many others suffer with this too😭😭😭 I’ve had this game for two solid years and I love it more than anything else but please fix this issue. 100 gems are not easy to come by during normal game play, and I refuse to buy gems when I really don’t need to. It’s upsetting. Thank you for creating a wonderful game, but please, please please fix this issue soon, because it’s extremely agitating. This game is a lot of fun with collecting the dragons and getting all of the islands. It’s not a perfect game though. My #1 complaint is when races are going it is not fair at all once the race starts that a guy can buy his way to lap 15 in an instant when in regular play it impossible to compete against and completely unfair to those of us who enjoy collecting. #2 Ancient world crystal upgrading is not worth it takes way to long to get the necessary upgraded crystals to be able to evolve the ancient dragons. #3 breeding is to random I’ve been breeding the pure flame dragon and the pure dark dragon for the legacy dragon and I have been trying for the dragon for over two weeks now and I keep getting the same three dragons over and over, also I can’t continue in the quests stadium without the legacy dragon. 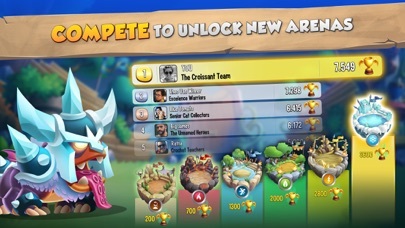 #4 The events were you collect the maze coins is impossible for us legit players to collect all of the dragons in the event. #5 leveling dragons is way to expensive when you get to the 25 to 30 range it takes way to long to collect the resources necessary to lvl your dragons. Those are my top 5 problems with the game. Other then that the game is a overall fun experience that I enjoy checking my progress three to four times a day. Hello I’m writing this because it needs some work every is fun but it seems unfair because some of the players that just joined never got to do the heroic races sin leagues some people have 3, 2, or 1 heroic on their team so it can be a bit unfair because because they probably didn’t get the chance to compete in the races so could do all the heroic races again. 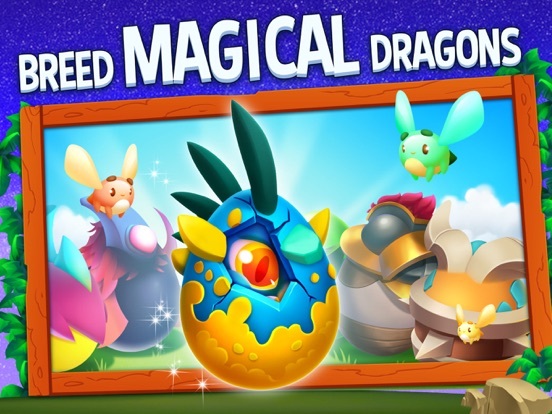 Also the game can get a little boring sometimes because because of always wanting for eggs the hatch of food to be ready so could you decrease the amount of time that it can take for food and eggs to hatch along the the time in the leagues and arenas. But the most important comment in this review is cold you have like clan wars in it and also be able to attack others islands and setup defenses. Thank you for reading this review and I hope you can do what I requested. 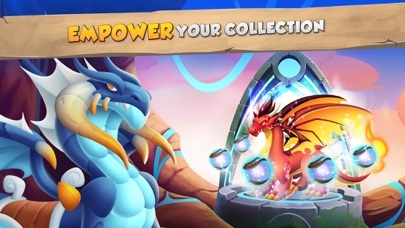 And one more thing can you make it easier to level up in the rarity of the dragons will be easier to get in the ancient world like the secret fire dragon or the mermaid dragon and other dragons in the ancient world easier to get and you that you can level up a lot faster. The reason I am writing this review is because of how pay to play this game is. My daughter who is 11 wanted this game so we downloaded it for free to her device. My wife and I also downloaded the game so we could help send her resources, eventually join her clan and enjoy the game with her as a family. Then very quickly she hit the pay wall. 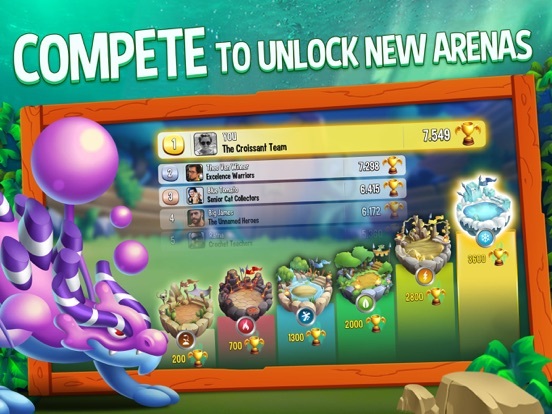 In order to expand your island you need gems or to recruit friends to play. Then if you want to level your dragons past level 10 you again need friends playing or gems. 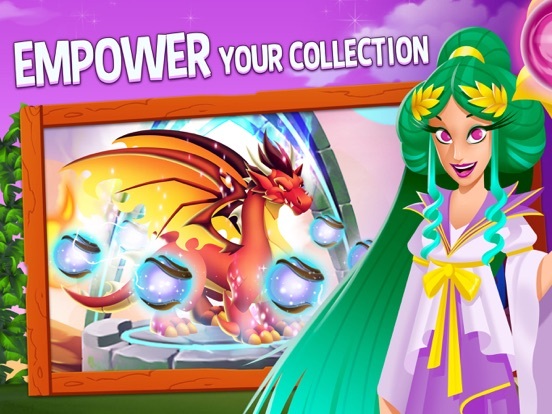 Gems as in all games are earn able in limited resources or purchase though to store. This game makes gems basically mandatory to progress and there is very little free to pay options. My daughter is currently sitting on millions of dollars in gold and food because she had spent her gems on some expansions and being able to level her roster since her only friends playing are myself and my wife and she needs more friends to progress without gems. I have played other many fermium games where you can progress for free even without spending your gems. Gems should be to speed up progress or fill resources not mandatory to progress inch by inch. Dragon city is pay to play compared to pay to win. I would rather put some money into a pay to win game than play a pay to play game that lists itself as a free to play game. 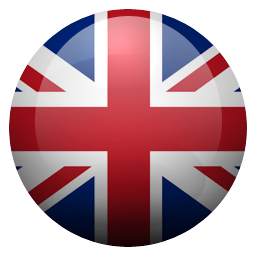 ~SOCIAL POINT~ PLEASE READ, will fix many customers’ problems! I’ve played this game for a while. I really enjoy it, but you have to be extra careful. This has occurred multiple times in the ancient world- I accidentally clicked on the button to purchase a crystal, losing LOTS of gems. The reason I’m mad about this is that I had the settings so that it would have me double click in order to use over 20 gems. It was always enabled, but it didn’t work! It is also annoying that all of the events, like heroic islands, are made to be impossible without making some kind of purchase. People don’t like a money hungry game. I think it would be more enjoyable and more played if you could possibly fix these little errors. I get you are probably busy with other developments, but this should be a simple fix. SOCIAL POINT- I suggest having an option to enable a setting: when you click to make a purchase with gems, a box pops up with an option to click yes or no (if you are sure you want to make the purchase or not). And, if possible, could you please give me back my gems? This is making me kind of frustrated, and I don’t want to get annoyed over a mobile game. Pay to Play...pay a lot. It WAS a Great Game... it could be once again...but Greed. This is my new favorite game every since I got it, I love how cute the baby dragons are and how the change so easily just by feeding them. The first few days of the game make you feel like you already have amazing dragons because it has two ways of getting cool dragons. It has this game were you earn these tokens by doing nearly anything and they have something for the first like 15 or more days that give you rare dragons and they look amazing. I tried to guess what they were before I had them which made the wait fun. And the first few days thing also gives you food to feed them, lots of gems, and coins. I am very close to the third island already which is very exciting for me. There is this race you can do once you get to a specific level we’re you race real other people and you have to do all this stuff the fastest and right now I am In first but you need to go around 3 times before you qualify which I’m only on my second lap but I’ll be in first when I get there. This review was to mainly tell you how amazing this game is and that I love it and I think you will too. I love this game. It's very addictive, but there's a lot of flaws to it too. For instance; whenever I watch the videos to get rewards, no matter how many videos I watch I NEVER GET MY REWARD. It's very frustrating because today, I managed to get all the orbs for the Goblin dragon just by watching the videos only for the app to crash and when I came back, MY DRAGON WAS GONE! Now, I can't get it back and I'm so mad. Another thing is, THE IN-APP PURCHASES are so expensive. They have "deals" here and there from time to time, but it's only like $1 or $2 off at most maybe $3. Also, I find that some of the ancient world dragons are useless because of the fact that you can't breed any of them in the normal realm. For example; I have a red rose dragon and a mermaid dragon from which I got from breeding ancient world dragons, but I can't do anything with them. I can't use them in fights or breed them, so what's the point? In the ancient world it's also very hard to obtain a lot of crystals because of the fact that you have to wait HOURS to obtain them. That's all for now, but I'm very mad that I lost my goblin dragon just because the stupid app crahsed and somehow took my dragon. Ugh. Is there any way I can get it back? Don’t even bother downloading this game. I was tricked by how high the reviews were, but I’m now sure that’s they’re being artificially inflated by bots or something. Everything about this game tries to get you to spend money, way more so than any other game I’ve played. There is a stream of ads (sometimes more than 5 which is ridiculous) every time you open the game. My main issue was that there is no confirmation screen when spending less than 20 gems, which if you don’t pay for gems, can be a big deal since it’s incredibly difficult to find ways to get them in reasonable quantities. There were numerous things times when I unknowingly clicked on something that had me losing gems. You also pretty much have to link your Facebook account and any interactions with your friends like asking for help to build things are all done through Facebook, not within the game. Of course, you can also just use gems to get around using Facebook, but you’ll end up spending a lot of money in that case. Anyway I’m finally deleting this game after my patience has simply worn thin. This company clearly just preys upon its users from the very beginning. Not a good company at all. I’d give 0 stars if I could (partially just to balance out all the fake 5 star reviews). THIS IS NOT JUST A STUPID DRAGON GAME. This game isn't that good. Some aspects of the game are fun and all, but the game has MANY problems. Everything just takes forever to happen though, like breeding, farming, hatching eggs, and event missions. I also try finding specific alliances only to not find them. I type the name of it exactly how it is supposed to be, but get no results. I also strongly dislike that you cannot change the server of the general chat. On the Social button, I try to give gifts to my friends only to receive errors. I also was extremely vexed with the Illusion Island event. After moving the double pure dragon for 500 maze tokens, I HAD TO WAIT I DON'T KNOW HOE MANY HOURS UNTIL I COULD GET MORE! The event never even told me I had to wait for more tokens, so I was already hating this. I'm extremely outraged by this considering the fact I can't buy tokens like other people, I have school, and I can't stay up late just to see when I can get more tokens. I was one space from getting the final prize, until the event shut down. I honestly felt cheated of my time, and I feel like the event was just a big waste. 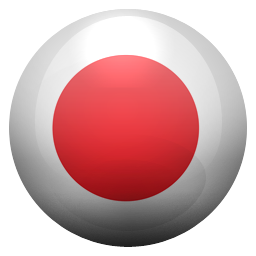 In short, I don't recommend this app to people with little patience, time, and money. Why is it, that we cannot change our profile pics in the Alliance Grove? That seems very restrictive in my opinion. Many other games that have similar I-help-you-you-help-me type servers and groups that actually allow you to CHANGE you profile picture as you wish. Why can that not be done in this case? Your customer feedback reps (if you have any, which I doubt) would be saved a lot of headaches if you did enable name and profile picture changes, because, knowing today's people, they'll be complaining a lot. Another thing is that I personally think the Heroic Races should be much longer, as in 20 days instead of 10 days. This would give some of us poor folk a chance to get the necessary pieces of the secondary heroic dragon. Another thing is the Free Video Island. WHY IS IT SO DIFFICULT FOR NE TO WATCH VIDEOS? Every time I go to watch a video, it either plays, says that your trying to find more videos for me to watch, or doesn't play at all. ALL OF THIS IS VERY FRUSTRATING! I don’t love the game it’s decent but it’s still bad. It’s true that I’m rating 4 star and people are looking at this with disapproval but hear me out. The events like mazes I have a remedy that might help a little, try scrolling down and see the finish line for the paths that are closest, then see what tasks give out the most maze coins then use your maze coins on the monster with the shortest path to the finish and the get the monster. It may not be the best but at least you can get something out of it. Also what is the most annoying attribute about free to play games? Adds. They are still view able with rewards but they don’t shove it in your face like other games. Now I’m no expert on these gaming apps but I think it’s hard for the company to provide new events without money and coding and animation might cost a bunch so they try to get everyone to play so they could get a little money. I’m not on the company’s side but more on the players I would like a chance to get some legendary monsters without having to pay. Thank you for your time. Great game! Don’t listen to bad reviews! This game is amazing! I have always been a gamer, and have always looked for good mobile games. I found an amazing one when I found this game. Slot of people complain that it is p2w (pay to win) it really isn’t. Sure you can get much stronger faster by paying money, but it is still very possible to get all that stuff with just some patience. This game is very generous when it comes to special currency (gems in this case) there are many opportunities to get these throughout the game as long as you stick with it. This is one of the best mobile games I have ever played. The excitement from seeing what dragon I got from breeding, the fights, and just scrolling around my world naming and liking at all my dragons is just a fun way to pass time. I have dragon city 5 stars, but really I think of it more as a 9/10 just due to the fact it can be very hard to defeat people who have spent money on the game in league battles, and they are constantly putting ads in your face. If you are considering to buy this app READ THIS FIRST! I'm letting you know reasonable amounts of gems cost too much, for example: To get about 1,000 gems it costs 100 dollars it shows greed. I saw a minor glitch once, when I search for the "Venom Dragon" in the dragon book it's tail falls down then comes back up is this supposed to happen? I could recommend this app but I gave it 3 stars because if the number of stars was an even number ( like 6 or 4 ) I would still have put in half of the number. 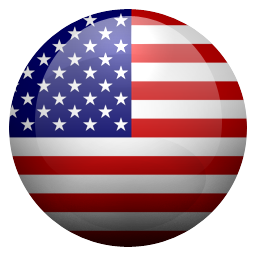 If you are considering to buy this app, please notice that this app is free but has IN APP PURCHASES but if you are the type of person that likes free apps with no in app purchases I would not recommend this app for you. Anyway this is the part I would REALLY like social point to consider.... Make dragons worth gold, I mean you only use gold for buying habitats, kindergarten, training center, dragonairam , and decor it isn't fair. If you read my review completely please make a good choice of buying or not buying this app I hope I helped you. So let me start off by saying, it’s a fun game to waste time on BUT you’re likely to waste time breeding dragons just to have the same outcome over and over again. On top of that it’s difficult to earn gems, that being said I have earned well over 100 but am unable to utilize the earned gems because you have to pay for a piggy bank to unlock your earned gems. That’s very scammy and honestly rude to the players of the game. They also run a lot of special events BUT the tokens (or whatever they’re called for each event) are not paid out like it says they should be. Example: I am supposed to earn x amount of tokens per gold unit or habitat I collect...and I just did over 30 habitats and received ZERO tokens. This makes you feel the need to purchase their packages in order to reach the end of the event, the events should be attainable without having to purchase anything. I have never been able to reach the end of any event due to this. So unless you’re wanting to pay to play, don’t play this game. It’s a waste of money as it’s just breeding dragons and fighting, not really worth anyone’s hard earned income. This game is actually really good, this game is all about dragons and you can level them up. It’s recommended to people who like games like monster legend. 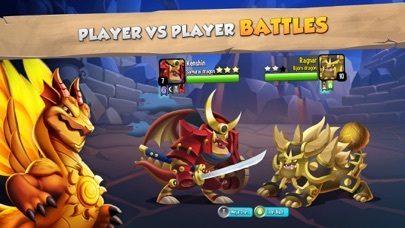 I also recommend you to get monster legends as well, it is made by the same company, and I believe you can get free gems if you get both of these games. I really recommend you play this. It’s great and fun to play. You could get daily rewards, do events, and have fun with many other things. But one thing I don’t like about this game is that for some buildings you have to use Facebook and have friends, you could use gems to make it, but I just wish they wouldn’t force you to have friends to do certain tasks. For example for the ice habitat, you need either 3 friends or 6 gems to open the habitat. It’s still a fun game, but you have to buy the 6 gems or earn them by doing objectives and events. 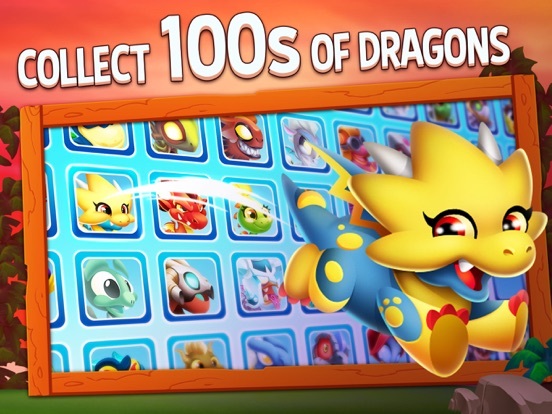 All in all, you should get this amazing game that has over hundreds of dragons with different elements. Also, have fun playing the game I hope you enjoy it!!!!!! Thanks to all of you who made this game because it is truly one of my favorites. 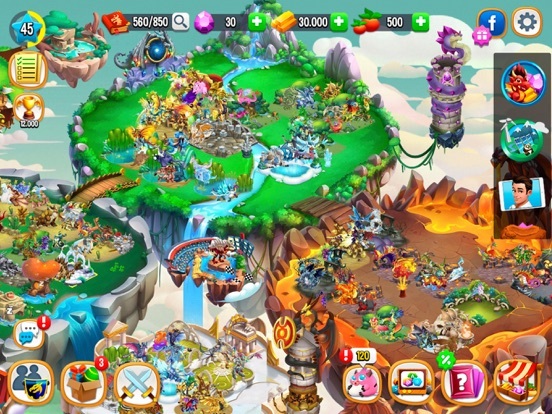 The endless dragons to collect in the different ways like breeding and unique events provides endless entertainment. The currency is very balanced and I never find myself stuck with nothing to do. My recommendation would be to add some sort of geo implement where if you visit certain locations you unlock an exclusive dragon. Like if you visit a landmark like the Grand Canyon you would receive a dragon that can only be unlocked there. And do this for many landmarks or cities around the world. I think this would add a travel aspect to the game and promote exploration. Also it would be cool to see someone with one of these dragons because you know they have visited these places. You could make them generally equal strength with some exceptions so people don’t feel they are really missing out based on where they live. It would add even more fun to this great game! I’m enjoying the game so far, I’ve been playing for about 5 days. I bought the introductory offer thing which gave me a dragon, some gems, coins, and food for 1.99 which helped me kick off the game nicely. However, I don’t like feeling like I have to buy things or hassle my friends to play too just to advance in the game. 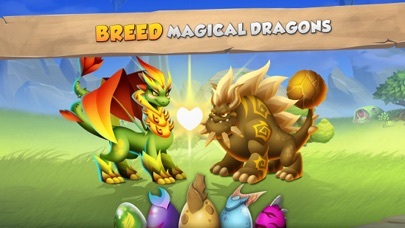 It’s pretty fun breeding dragons and there is a lot of other things to do while waiting for them to mate or while waiting for the dragon egg to hatch so you don’t get bored. I wish everything didn’t take so long but it’s good in a way so I’m not just staring at the app waiting for the next thing to be done. The dragons themselves are cool but some of them are pretty unnecessary, like there’s a sea dragon but also a wave dragon? It’s like they came up with a bunch of normal ideas for dragons and then ran out of things that made sense and thought up things like the poo dragon or the ice cube dragon. It’s random but also kind of funny. All in all it’s a fun game and I’ll probably play it for a while. I love this game! I mean I have had it for years, but when the game manufacturers choose to make updates there have been glitches. Such as the PvP challenges once you make it to the third level, and the time has run out you get rewarded, and then you get bumped back down to level 2 instead of moving on? The Herotic races are great and I get they need to be hard, but when we can only have 11 food farms and it asks for 11, but only counts 8 after we give all 11, or does it with gold or anything else it asks for. It’s super frustrating. I enjoy a lot of the new stuff you have done and the new dragons. I love it, but I don’t get the piggy bank, you pay for it once. Then keep paying after a few things you do.I would rather pay for a bigger package of gems for just a dollar or more . Is there anyway you can let us, as the players have another training center for our dragons? Some of us have a lot of dragons. Thanks for the amazing game and all the amazing new dragons. One of my new favorite games! This game Is awesome and it’s fun and great! My dad deleted Minecraft off my phone and told me that I could have DragonCity. I have all kinds of cool dragons and I have lots of money and food! Who needs all those special dragons when you can get common dragons for very cheap and level them up to make them look cooler and stronger? Like for example, I have a fire dragon named magma and is on level 8 and, I gotta say, he’s one of the coolest dragons I have. 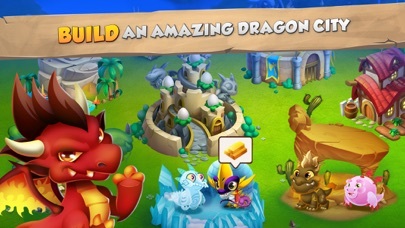 So, if you are planning to get a new video game, get dragon city! 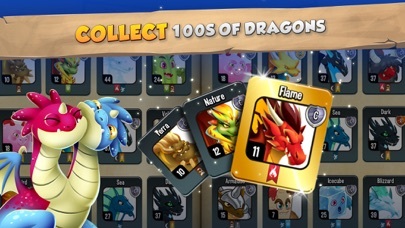 If the creators of this game are reading this right now, I just want to tell them how much I love this game and I would love for them to make a legendary dragon called the old dragon and this is his description: the old dragon was DragonCity’s most popular champion when it came to battle. But, that was 100 years ago. The old dragon is retired now. But, he’ll always help if you give him money for clinic bills and if you say please. I love this game, I open it multiple times a day. But I’m writing this review hoping the developers will see it, because I’d like to request a new feature. In the Ancient World, you can only craft higher-level crystals one at a time, and there’s a lengthy animation each time you do. It takes FOREVER to craft a significant number of crystals, which means I usually just collect from my mines and don’t bother crafting because it’s too much wasted time. So now I have THOUSANDS of crystals, and it’ll take me EVEN LONGER to craft them into the high-level forms required to level up the Soul Dragons. This also leads to the problem I’ve seen people complain of, where you accidentally spend gems to purchase crystals when you didn’t mean to. This happens to me because I have to tap the button to craft crystals so many times that I zone out and just keep tapping. Then before I know it, I’ve spent all my gems because I had to tap so many dang times. Please, please, PLEASE add a feature where you can craft multiple crystals at once! I would love to be able to choose X number of Raw crystals to craft into Y Clean crystals all at once, and so on through the levels. This would also resolve the problem of accidentally spending gems to craft crystals, because you’d only be spending crystals you have. Save me and my crystals from the endless monotony of crafting! I played Dragon City a few years back, and I absolutely enjoyed it. But then, I hit that point where in order to play, I had to buy Gems and more. In the game, it’s not easy at all to earn gems. If you open some pack, you only get one gem. Offers on certain Dragons are outrageous. Offers can be 200+ gems Or $50 I’ve never hit the point of 200 gems! I had an old account, lost it after restarting my IPad. That’s my main problem. Another problem is the time for certain things. I think it’s pretty crazy to make someone wait 100+ hours for an egg to hatch. Or 90+ for dragons to breed. I would keep it around 60 hours. My last problem is the heroic races. The only way to really get through the laps is to buy your way through. I also think we should get more time to complete the race, you only have us 8 days. I think 2 weeks is more reasonable. Even with all the problems, the game is still kind of fun, even though You have to pay to play. I hope Social Point reads this. One of my favorite apps to play, but a lot of the events or chests you need to do to get dragons , prizes, etc. require winning “leagues” and the leagues are way too hard to beat! It’s almost impossible and certainly frustrating. DC is also very greedy with wanting your money! I can’t afford at all to use IRL money for the game, which causes me to heavily lag behind instead of being able to keep up, this makes the game especially hard to the point you might seem stuck or like it’s not worth playing the game! Also a bug that I noticed is that I sometimes can’t get to neighbors to help out without going to a neighbor, going back home, going to a neighbor, going back home... etc. Another bug with ads is you watch an ad and your game crashes at the end, causing you to never receive anything you earned. Can happen once to numerous times in a row. Or you try to watch an ad, and the ad never shows and you have to restart the game to get it to load. Dear Creators of Dragon City, This game is all-in-all great, except for the PRICES and the BUGS. There are way too many things in this game that are too expensive, and in the game, there’s something that bothers me and I’m sure it bothers others as well, it’s that whenever “Deus” shows you a new event with the whole tutorial, he makes you spend your currency that you EARNED for that area and the tutorial is inevitable. I know that’s still something small and I don’t believe that it should be so annoying that it makes people complain about the game, but I’ve had so many friends that have experienced the same issues as I have, and honestly, we’re tired of it. It’s too pricy, and there are various bugs that annoy lots of people, I’m sure I didn’t get every bug but still, it just pisses me off a bit how sometimes you creators can seem somewhat inconsiderate of the game. I’m just ranting my opinion, over all the game is great, so that’s why I’m giving it 3 stars. Thank you if you read this, and please consider what I said. First off this is a great game but it needs somethings to be changed/edited. First this is definitely not a pay to win game. You can easily get lvl 10 dragons within a week or so of playing without spending money, and they make it easy to get gems thanks to the leagues so thats great. A few things I don’t like: 1. You need friends to buy extra room (so I recommend signing into facebook) 2. Getting food takes awhile so thats another thing I don't like but understand 3. Another thing that I don’t understand is you have to level up your hatchery by spending gems (again its easy to get gems) but I mean sure its easy to get gens but it’s kinda annoying that you have to use gems to upgrade it. If they made it where the first 2 or 3 hatchery upgrades costs gold then you don’t have to use the gems. But other than that stuff this is a great game, it’s not pay to win, and you will have fun.